Call Screen was arguably the most impressive feature Google debuted at the Pixel 3 launch event. 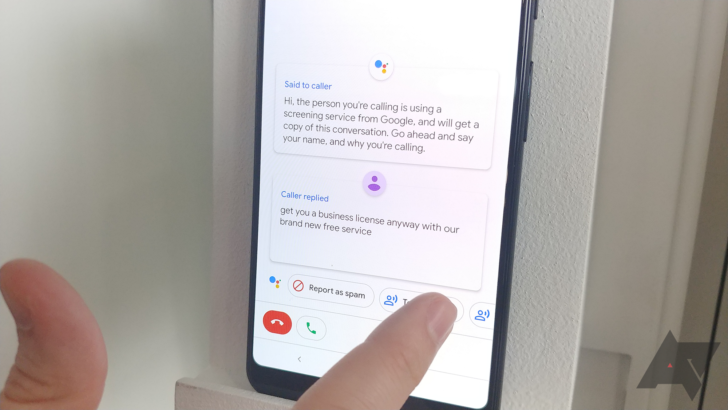 Google’s AI can answer the phone and ask what the purpose of the call is, providing an on-screen transcript of the conversation so you can decide if you want to talk to them or not. Right now, the transcripts disappear as soon as the call ends, but the ability to save has been confirmed for arrival later this year. This is something that will make Call Screen even more useful. We don’t have such a huge problem with spam calls here in the UK, but I know my colleagues on the other side of the pond suffer multiple instances each day, for which Call Screen must really be a godsend. If you want to make sure you’re first to get the transcript saving feature, sign up for the Phone app beta here. Google has begun rolling out the Call Screen transcript feature, though so far it appears to be far from widespread. 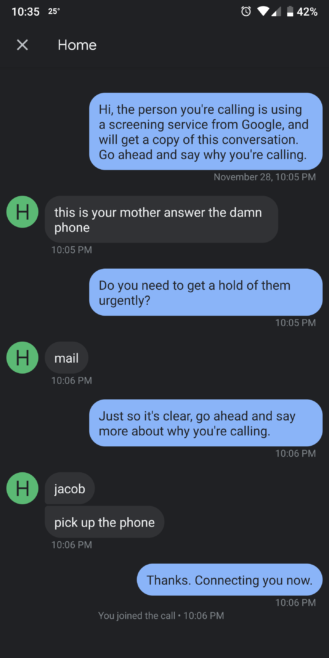 To see if it’s gone live for your phone, under “Recent calls” tap “Call history” and then look for a new “See transcript” option.